Inspiration and a dig through the junk bin is precisely how [Nixie] built this very impressive spin coater for use in his ongoing homemade semiconductor project. If you’ve never had first hand experience with a spin coater, don’t worry, not many people have. Put simply, it’s a machine that allows the user to deposit a thin layer of material on a disc by way of centrifugal force. Just place a few drops in the center of the disc, then spin it up fast enough and let physics do the rest. [Nixie] only needs to spin up a fairly tiny disc, and realized the hub of a 40x40mm brushless case fan was just about the perfect size. A quick pass through the lathe stripped the hub of its blades and faced off the front. 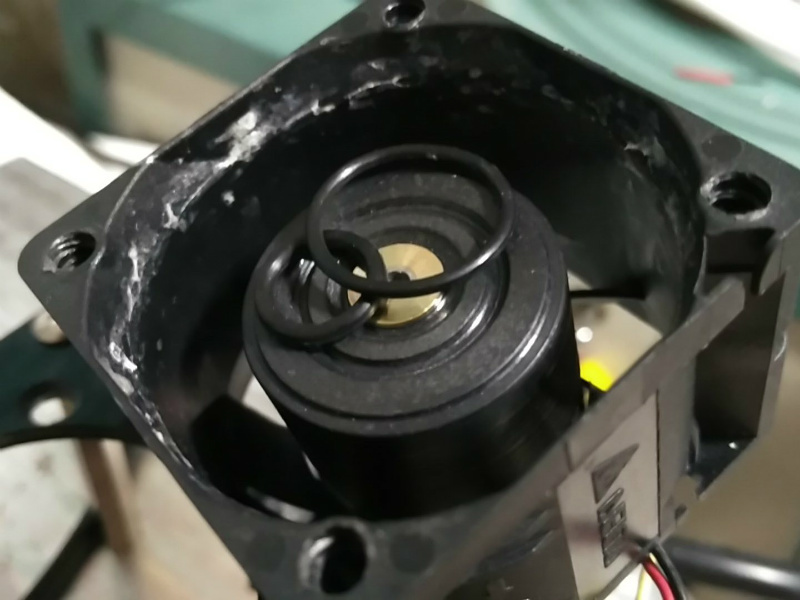 Once he found a tube that was the exact same diameter of the fan’s axle, he realized he could even use a small vacuum pump to hold his disc in place. A proper seal is provided by 10 and 16 mm OD o-rings, installed into concentric grooves he machined into the face of the hub. With a way to draw a vacuum through the hub of the spinner he just needed the pump. As luck would have it, he didn’t have to wait for one to make the journey from China, as he had one of those kicking around his junk bin from a previous project. The only thing he ended up having to buy was the cheap PWM fan controller which he mounted along with the modified fan to a piece of black acrylic; producing a fairly professional looking little piece of lab equipment. Check out the video after the break for a brief demonstration of it in action. This isn’t the first specialized piece of gear [Nixie] has produced in his quest for DIY chips. We’ve previously covered his DIY tube oven as well as his vacuum chamber complete with magnetically controlled manipulator arm. ← When Is Wrought Iron Not Wrought Iron? The “vacuum chamber complete with magnetically controlled manipulator arm.” link links to the tube furnace article. Neat build overall. Used to build magstirrers when younger from PC fans. Glue a HDD magnet on top and add a speed control (I used a simple LM317 based one back then) and I had a mag stirrer for experiments. Very nice! Definitely want a cage around the motor and buttons for that PWM controller though. It should be easy enough to whack on a hinge and a PC shell for impact resistance.